Cardinal Red 2019 Mercedes-Benz E-Class E 450 4MATIC®® 4MATIC®® 9-Speed Automatic 3.0L V6 BiTurbo 4MATIC®®. 19/26 City/Highway MPG www.Mercedesofflagstaff.com ...Excellent selection of New and Certified Pre-owned, Great selection of All Makes and Models of handpicked Pre-owned Vehicles. ALL PRICED BELOW MARKET! Low Financing and Lease options! 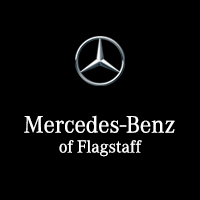 Serving All of Flagstaff, Sedona, Cottonwood, Williams, Kingman, Bullhead City, Winslow, Bellemont, Prescott, Prescott Valley, Pine Valley, Chino Valley, Dewey-Humboldt, Grand Canyon, Cornville, Jerome, Pinetop, Tuba City, Navajo Reservation, Lakeside, Anthem, Holbrook, Snowflake-Taylor, Munds Park, Surprise, Sun City, Chandler, Phoenix, Scottsdale, Mesa, Tempe and Gilbert....Cardinal Red 2019 Mercedes-Benz E-Class E 450 4MATIC®® 4MATIC®® 9-Speed Automatic 3.0L V6 BiTurbo 4MATIC®®. New vehicle pricing includes all offers. Tax, Title and Tags not included in vehicle prices shown and must be paid by the purchaser. While great effort is made to ensure the accuracy of the information on this site, errors do occur so please verify information with a customer service rep. This is easily done by calling us at 928-440-6330 or by visiting us at the dealership.